When you evaluate your language training needs, do you find that your employees don’t all need the same training? 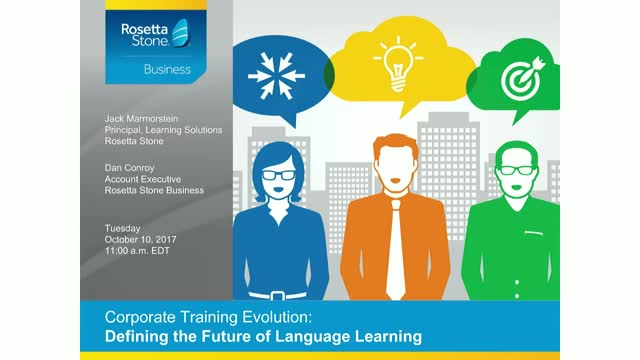 Join us for a webinar, The Evolution of Corporate Training: Defining the Future of Language Learning. We will discuss how corporate training has shifted to a technology driven initiative in order to meet the diverse needs of a global workforce.